Ce weekend Karuna-Shechen, fondée en 2000 par Matthieu Ricard, organise Yoga for Karuna, 3 jours de yoga pour lever des fonds pour le travail incroyable que fait l’association en Inde, le berceau du yoga, cette pratique qui nous est si chère. Sachez que si vous ne pouvez pas participer à un cours, vous avez toujours la possibilité de faire un don. Toute donation est 100% sécurisée et ouvre droit à une déduction fiscale de 66%. Un don de 20€ ne vous coûte en réalité que 6,80€ ! Ensemble, nous pouvons bâtir un monde meilleur pour tous. 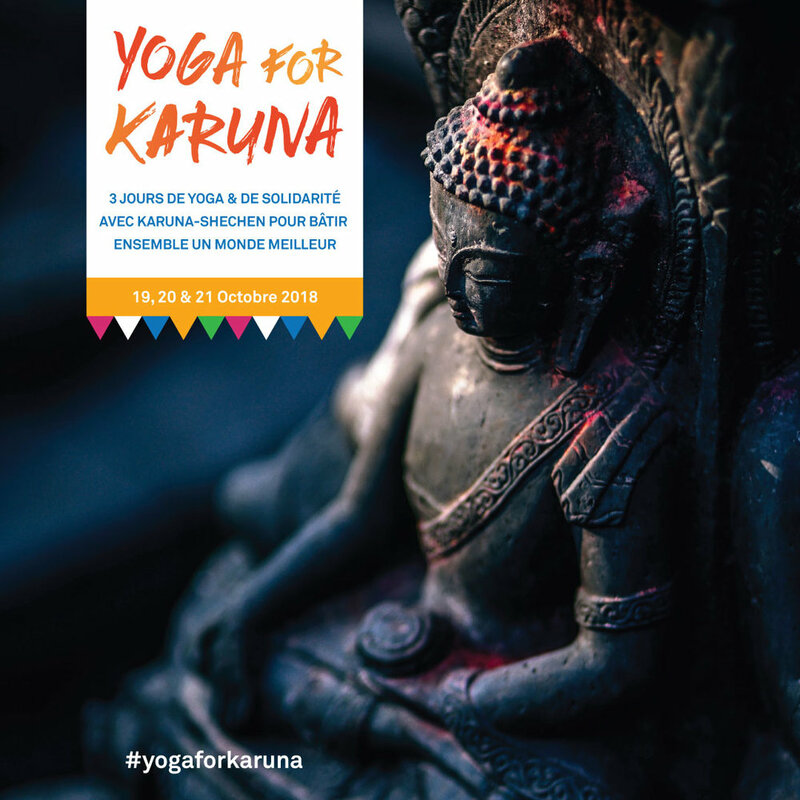 This weekend Karuna-Shechen, founded in 2000 by Matthieu Ricard, is organizing Yoga for Karuna, 3 days of yoga to raise funds for the incredible work they are doing in India, the cradle of yoga, this practice that we so cherish. Here’s the list of classes that are happening in Paris and surrounding cities! Know that if you can’t take part in a class, you can still make a donation. Each donation is 100% secure and is tax-deductible (66% in France.) This means that a 20€ contribution really only costs you 6,80€! Check out the map to find the session nearest you, in France or elsewhere! Together, we can build a better world for everyone.